Buddleias (or buddlejas) of the ‘davidii’ persuasion, are major components of summer gardens and frequently planted for the way they attract butterflies and other pollinators. They are so associated with our favourite flying insects that they are commonly just known as butterfly bushes. But they take up a lot of room and they frequently seed freely, so much that in some areas they can be invasive – everyone has seen them sown into walls and chimneys in urban areas. This means that breeding has been to create dwarf buddleias and sterile plants that do not become a nuisance in the wild environment. Probably the best known are the ‘Buzz’ series bred by Thompson & Morgan’ which have full size flower clusters on compact plants that reach about 1.2m high and wide. But before this (I think) we had ‘Blue Chip’ (sold in the USA as ‘Lo and Behold Blue Chip’. 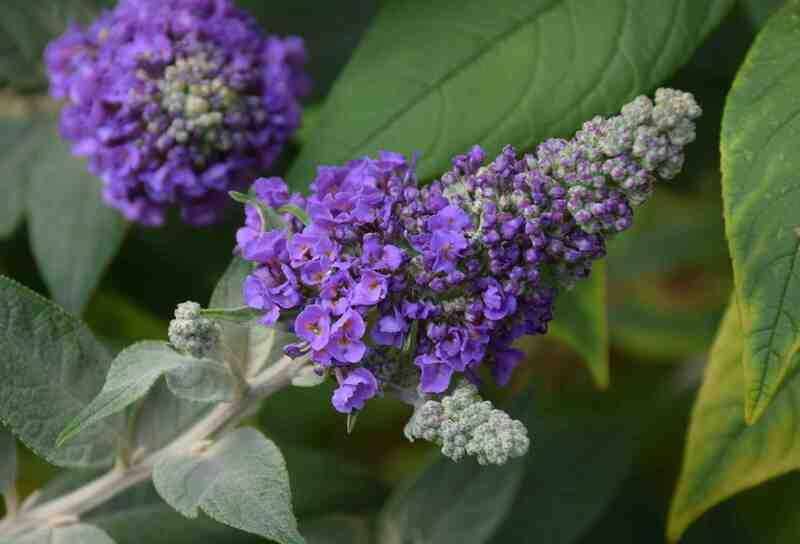 I have had it in the garden for many years and it is much more compact and stiff than the ‘Buzz’ buddleias and has much more compact flower clusters. The flowers are very densely arranged and are very crowded. They are also supposed to be male-sterile so set very few seeds. I find that it is very late to start to flower, mine has only been in bloom for a month, but there are more buds to come so I would describe it as a shrub for autumn display. Given heights usually range from as little as 60cm but, with admittedly minimal pruning (and not the annual hard prune since I was not always here) it has reached about 1.2m high – still compact for a buddleia. With greyish leaves it is a very pleasant shrub, with pretty, fragrant flowers and is easy to maintain. I love this little bush…it did great here in Houston Texas while we were in a 8 year drought. The last two years we had 80 inches of rain and mine died, i replanted them just to check and they died again. This is not a scientific study but I am thinking they don’t like wet feet. We are getting 3 and 4 inches of rain some days and with our clay soil it takes days to drying out. Poor little things drowned! 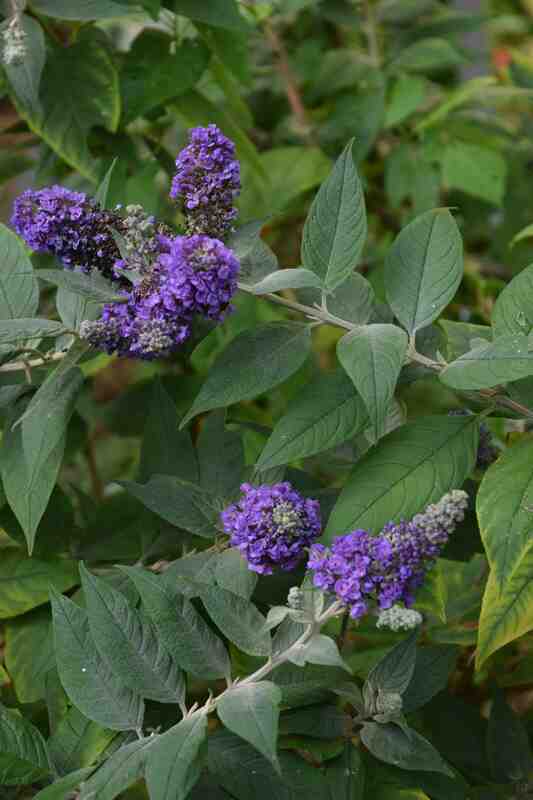 Yes, buddleias can cope with clay but not if it is wet too often – poor drainage is about the only thing that will kill them. I think you are right about what finished yours off – sorry to hear that!